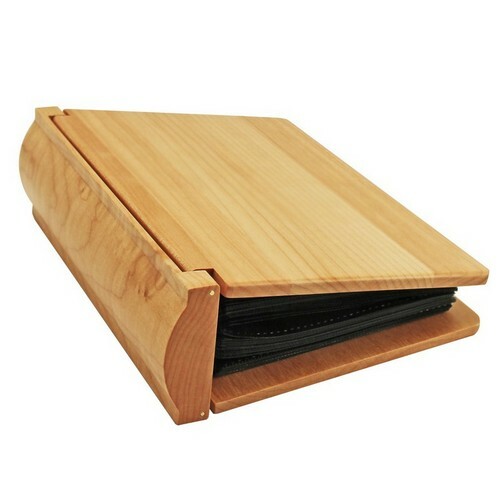 You have 75 characters left. 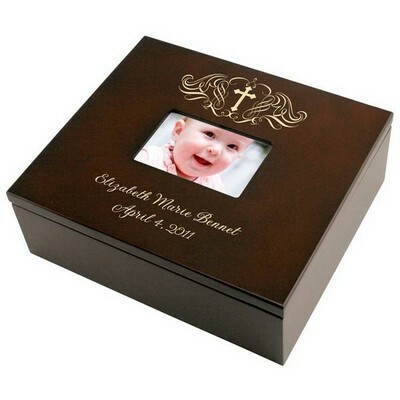 This wooden photo album is an ideal choice for a baby's Christening gift. 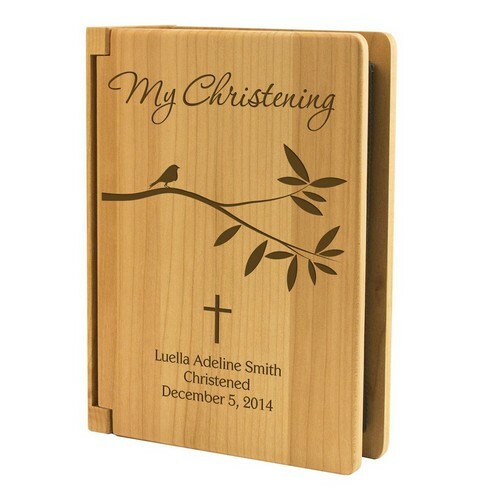 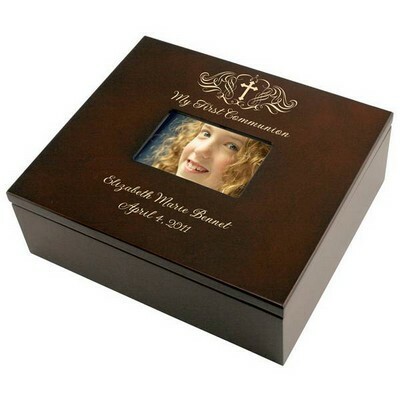 Each album features a tree branch design and reads "My Christening", along with a cross and space to hold up to three lines of personalization and a favorite horizontal photograph in the cover. 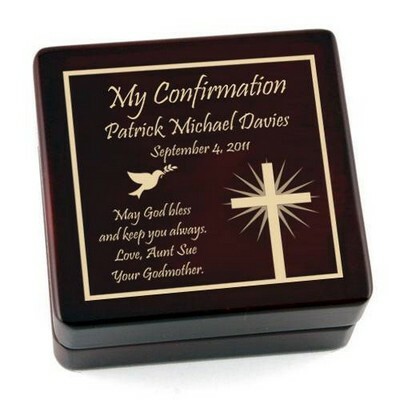 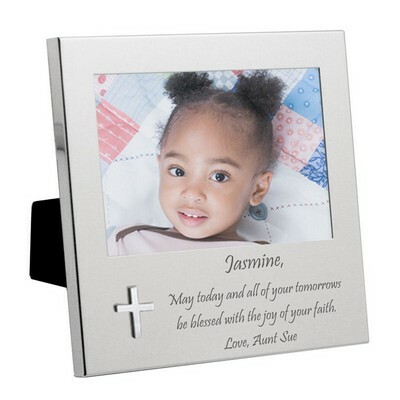 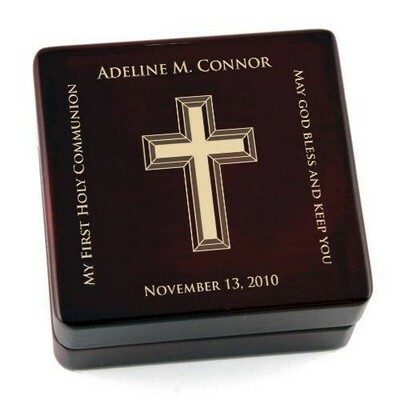 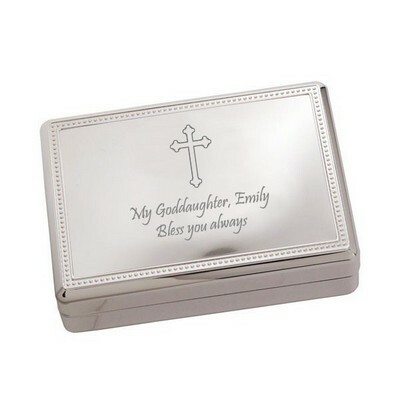 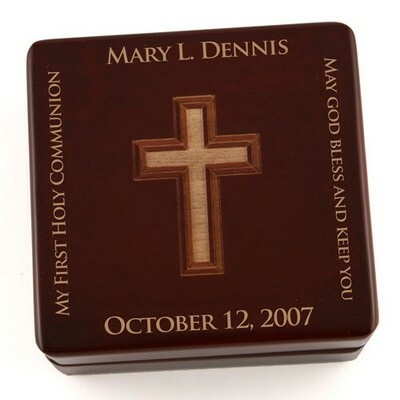 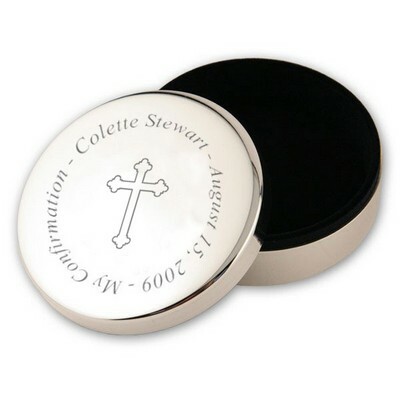 These 5 1/2" by 7 1/4" albums hold 100 4 x 6 pictures each, and are a lovely way to commemorate a Christening. These wooden photo albums are an ideal choice for any religious gift ideas.